[Special Promotion] Every great drama has its own soundtrack. 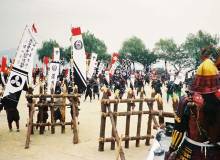 Alongside the exaggerated actions of kabuki theater, the traditional music of nagauta (“long song”) sets the tempo and rhythm for the rises and falls, build-ups and climaxes for the heroes and villains on stage. 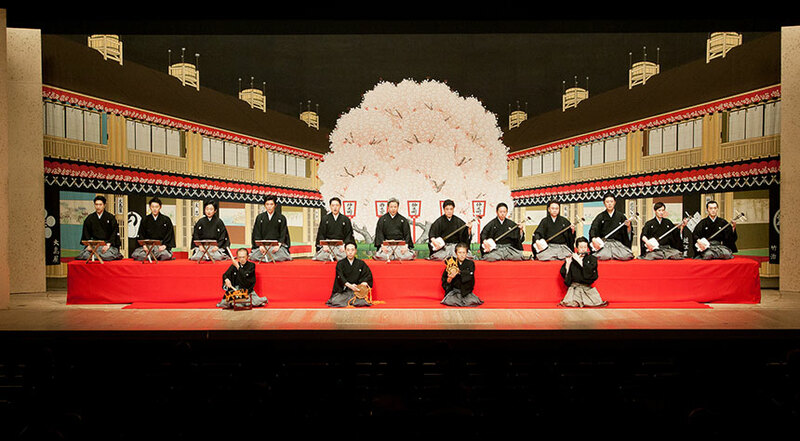 GEIDANKYO (the Japan Council of Performers Rights & Performing Arts Organizations) is hosting four sessions of an immersive kabuki music learning experience. 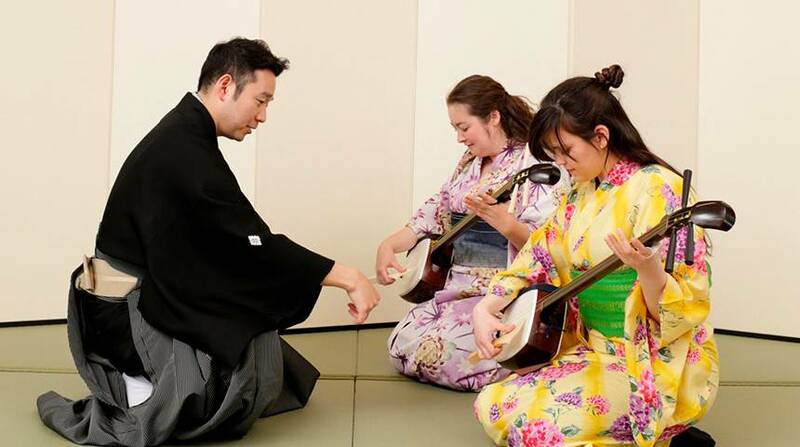 In addition to a professional performance, leading kabuki musicians Kineya Katsujiro and Tosha Suiho will demonstrate and teach shamisen and kotsuzumi playing. The shamisen is one of the most iconic Japanese traditional instruments, played by geisha and used in kabuki and bunraku theaters. With its long-stemmed neck and three strings, it produces an elegant and distinct sound. Players use a bachi to both pick and strum, as well as to beat the body of the shamisen for percussion. The kotsuzumi is a small hourglass-shaped drum dating back to the 14th century. Players hold the drum, adjusting the cords strung along the sides of the drum to adjust the pitch of their playing. The body is decorated with gold lacquer, making it even more beautiful. The Kabuki Music Experience includes a drink of sake, calligraphy souvenirs, and the option to dress in yukata to contribute to the atmosphere. 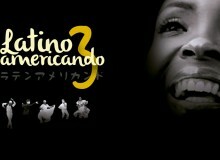 In addition to practicing with the instruments, participants will play in an ensemble with the artists. Event date: Feb 23 and Mar 11. 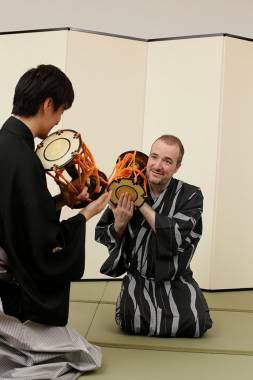 Participants who choose the yukata option should arrive half an hour earlier.